Albany at Oneonta, 7:00 p.m.
*The rosters for the 2012 Perfect Game Collegiate Baseball League All-Star Game will be released later today. A list of participants in the Home Run Derby will also be revealed. The 2012 PGCBL All-Star Game will be played on July 24 at Amsterdam's Shuttleworth Park. *The head coaches for the 2012 PGCBL All-Star Game will be Amsterdam's Keith Griffin and Newark's Chris Ebright. Each skipper guided his respective team to the 2011 PGCBL Championship Series. *Congratulations to Mohawk Valley's Jesse Buratt (Baton Rouge C.C.) and Chris Cruz (Cornell) on sweeping the weekly awards. Buratt threw the first no-hitter in league history and Cruz topped a Mohawk Valley offense that batted .339 as a team. *The DiamondDawgs had great performances across the board last week to accrue an 8-0 record. Eric Helmrich (Marist) paced the Dawgs with 14 RBI. He was one of five players with 10 hits or more and one of those hits included a walk-off single in a win over the Newark Pilots. Mark Stuckey (Marist) doubled seven times, scored 10 runs, drove in seven and batted .400. Tyler Heck (Union, N.Y.) tied Cruz for the team lead with 12 runs scored. He posted a .410 on-base percentage and stole six bases. On the pitchers' mound, Eddie Fitzpatrick (Brown) won two decisions and culled together a .205 opponents' batting average in 13.0 innings. Reliever Raymond Morton (Norfolk State) did not allow a run in four appearances and opponents had just one hit against him. Aaron Casper (Canisius) also did not allow an earned run in four outings. *For the second week in a row, Amsterdam's Zak Colby (Faulkner) had the highest batting average of any PGCBL hitter. He batted .500 (11-for-22) over five games and drove in five runs. He also did not commit an error in 28 defensive chances between several different positions. Teammate Chase Green (SIU Edwardsville) smacked 10 hits in four starts and posted a .476 batting average. Albany's Nolan Gaige (UAlbany) cranked out 12 hits, batted .480 and scored eight times for the Dutchmen; 25 percent of Albany's 32 runs in five games. Landon Prentiss (VCU) and Ty Yesensky (Old Dominion) of Elmira each had at least 10 hits and batted over .400. Teammate Zac Bellinger (VCU) cranked out four doubles of eight total hits. Ross Kivett (Kansas State) of Glens Falls stole eight bases and hit .390. Newark's Ben Bostick (St. John Fisher) recorded a .622 on-base percentage with 13 hits and nine walks in just seven games. He batted .481 and scored nine times. Five other Pilots had batting averages of .400 or better. Joe Landi (Rhode Island) led all league players with 10 stolen bases and Brent Langston (Delta State) drove in nine runs. Oneonta's Orlando Rivera (State College of Florida) smashed 10 hits and scored nine times in seven games. Watertown's Cole Gleason (Wabash Valley) batted .409 with nine hits, five runs scored and three RBI. *Overall last week, all nine league teams combined for a .293 batting average and 374 runs. Four teams batted at least .300 and five of nine had a batting average of .285 or higher. On the other hand, that led league pitchers to a combined 5.63 earned run average. Just one team, Mohawk Valley (2.38), accrued an ERA under 3.00 and Newark (4.93) was the only other team under 5.00. *However, there were several strong pitching performances. Albany's Matt Snyder (Va. Tech) allowed just one earned run on six hits over seven innings and struck out four in a win over the Amsterdam Mohawks last Monday at Shuttleworth Park. Amsterdam's Mark Leiter Jr. (NJIT) struck out nine through six and fired a one-hitter in a no decision vesus Glens Falls. Leiter's Tribe teammates Rocky McCord (Auburn) and Matt Pirro (Wake Forest) each gave up only one run in six innings; McCord in a win at Newark and Pirro at Oneonta. Elmira's Matt Holling (Hofstra) fired a four-hit shutout and struck out eight at Dunn Field in a win against Glens Falls. Golden Eagle Cory Folk (Buffalo) gave up just one earned run in Amsterdam through six innings and fanned four in a pitchers' dual with Mark Leiter Jr. (NJIT). Newark's Mark Scott (San Joaquin Delta) struck out 14 batters in 8.1 relief innings and starter Cullen Babin (Delta State) carried a two-hit shutout into the ninth versus Oneonta. Taylor Hicks (Georgia) of the Outlaws quieted the Cooperstown bats at Damaschke Field and he strung together 7.2 frames in a victory. Hicks blanked the Hawkeyes through seven and allowed just one run. Watertown's Rene Solis (St. Mary's, Texas) threw a four-hit shutout for seven innings in a win at Cooperstown. *Here's how each team did last week (July 9 - July 15)... Mohawk Valley 8-0, Amsterdam 3-2, Newark 4-3, Albany 3-3, Elmira 3-3, Oneonta 3-4, Glens Falls 2-4, Watertown 2-4 and Cooperstown 0-5. *It's hard to believe in just two days we'll have two weeks remaining in the regular season. *On this date last year, Watertown's Erick Gaylord hit four home runs against the Amsterdam Mohawks at Shuttleworth Park. Gaylord homered in his first two at-bats and last two-bats. He sandwiched in a single between the belt barrages to finish 5-for-5. The 2011 PGCBL Player of the Year hit four home runs off of three different Amsterdam pitchers. Relive Gaylord's historic night here. *Just to clarify, Mohawk Valley's current winning streak stands at 11 games and not 12 as reported elsewhere. The victory over Cooperstown in the first game of yesterday's non-traditional doubleheader does not count in the winning streak. The game began on July 2 and the final score reverts back to that date. However, the nine-inning game played afterwards does count in the streak. *The final box score for the Mohawk Valley-Cooperstown suspended game is chocked full of statistical goodness. The game, which took three hours and 58 minutes of game play to complete, is one of the longest nine-inning games in league history. It set new PGCBL single-game records for runs scored (31), runs batted in (29) and walks (24). Mohawk Valley out-hit Cooperstown just barely, 17-16, though surprisingly the 33-combined hits are not even close to a league record; that belongs to the 39 total between Watertown and Newark last Monday night. Overall, 31 players competed in the game and there were five pitchers used - though just three on Sunday. Yesterday's conclusion also featured the sixth grand slam in league history, hit by Cooperstown's Quinn Pippin (Tulane) who unofficially finished the "double header" against Mohawk Valley with six RBI. *Going more in-depth on the Mohawk Valley-Cooperstown box, 16 players at least least one hit and 10 recorded multiple hits. Fifteen players drew at least one free pass and seven walked at least twice. Mohawk Valley's Mark Stuckey (Marist) doubled three times, scored a game high four runs and he reached base safely five times in six plate appearances. Eddie Sorondo (Delaware State) hit a three-run home run all the way back in the first inning on July 2 and ended the game with four RBI. Six DiamondDawgs scored at least two runs and three had three-hit games. On the other side, four Hawkeyes had at least two runs and three players ended the game with three hits. Steven Kandborg (Wenatchee Valley) had three hits and drove in three runs. Coleman Barron (Davidson) led all hitters with four bases on balls. *Mohawk Valley's 18 runs all came on July 2 in the first seven innings. The Dawgs scored at least once in six of seven frames with a high of seven runs in the top of first inning. Cooperstown had five multi-run frames and scored at least two runs in each of those innings with a high of four in the ninth on Quinn Pippin's grand slam. *With the statistics official from the first Mohawk Valley-Cooperstown game and the DiamondDawgs adding on an 8-3 win in the regularly-scheduled contest, several MV players had charged into the league record book. Mohawk Valley's Mark Stuckey (Marist), with three doubles on July 2 and another last night, has broken the PGCBL single-season doubles record with 17. The previous mark of 16 was set by Kyle Ruchim (Northwestern) of Glens Falls in 2011. Tyler Heck (Union, N.Y.) scored twice in the night cap yesterday and with those two runs, he has tied the league single-season record for runs scored with 38. *Mohawk Valley leads the PGCBL with 118 total extra-base hits. The DiamondDawgs have smacked 77 doubles, 17 triples and 24 home runs. The next closest team to Mohawk Valley is Amsterdam with 103 extra-base hits. The Dawgs are also on top of the loop with 80 stolen bases. *One interesting note from the Mohawk Valley-Cooperstown "night cap," four runners were thrown out attempting to steal. Mohawk Valley catcher Jonathan Scott (Bryant) and Cooperstown backstop Pat Hyde (NKU) each gunned down two runners. *Speaking of catchers throwing out runners, Elmira's Spencer Brann (UC Davis) added to his league-leading total with another runner thrown out on Sunday night versus Oneonta. For the season, Brann has thrown out 21 runners attempting to steal. *Big measure of revenge last night for Newark who played yet another two run or less game. That's 17 for the defending champs this year in 35 games total. Newark's record in those games is 9-8. However, prior to last night, the Golden Eagles had found a way to win close games against the Pilots this year and as well as at times last year. When Chase Griffin's (Ga. Southern) three-run swat gave the Green and Gold a 4-3 lead in the sixth inning, it looked like history might be repeating itself. But, 2011 PGCBL Game 2 hero Sean Osterman (St. John Fisher) threw away that notion wth an RBI single in the sixth to tie the game and then the Pilots scored twice in the seventh to pull away. Seven of Newark's last nine have been decided by two runs or less or have come down to the final at-bat. *Some number symmetry from yesterday's games. After all, we as baseball fans love numbers. In Cooperstown, Mohawk Valley won a resumed game 18-13 and then went out and earned an 8-3 win. Eight runs were also enough for Elmira in a 8-6 win at a rain-soaked Dunn Field over Oneonta. Subtract two scores each from the Pioneers and Outlaws and you get 6-4, the final score of the Newark-Glens Falls game. *Regarding yesterday's rain out between Watertown and Amsterdam. The game has been officially cancelled. On the schedule, Sunday's game was supposed to be the final meeting of the season between the two teams. With no mutual day off for both both teams before the end of the regular season on August 1, the game has been scrapped. Weather permitting, Amsterdam and Watertown will each finish the regular season with 47 games. *Four 7:00 p.m. games on this sweltering Monday night in the Empire State. It's only going to be hotter tomorrow. *It's a pretty big night in Oneonta where the Outlaws host the Albany Dutchmen. 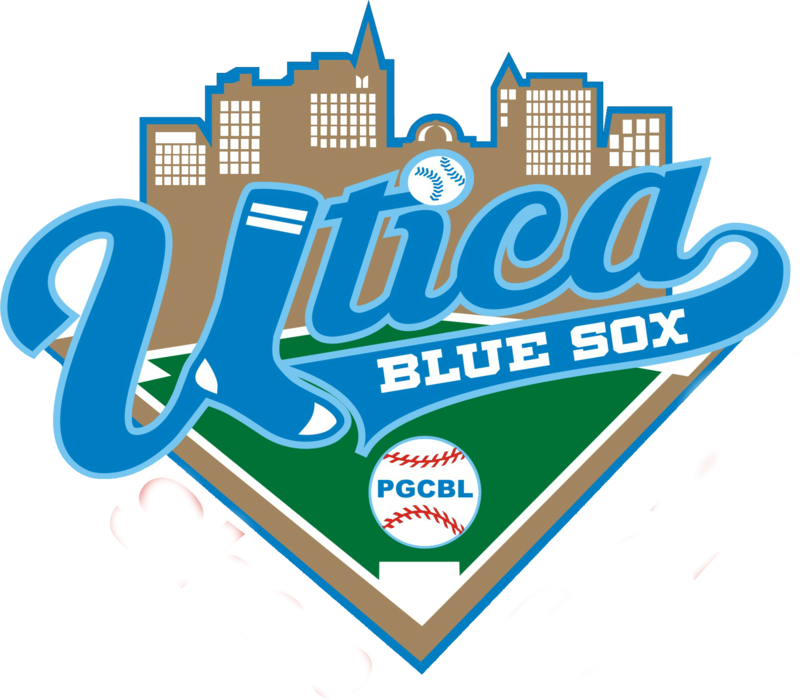 A half-game in the league standings sits between the Outlaws and Dutchmen though Albany, because of a suspended game in Cooperstown, has a game at hand. That game be picked up on July 31 in Albany with Cooperstown leading 15-11. The Dutch have won five of their last eight to get back up to .500 and into a virtual tie with Glens Falls for fourth place in the league standings. Some of the resurgence has to be credited with the return of a healthy Will Remillard (Coastal Carolina) to the line-up and for the Dutchmen, it has been a total team effort with several players stepping up with big hits. However, Albany is 0-2 against Oneonta. In two prior meetings, the Orange and Black have outscored the Dutch by a 3-to-1 margin of 21-7. The Outlaws are reeling slightly and have lost four in a row including a tough 8-6 defeat on Sunday at Elmira. The Outlaws have allowed 32 runs in their last four games while just scoring 15. Both teams know that playoff positioning is on the line as aces David Stagg (Heartland C.C.) and Sheldon Lee (U. San Francsico) go head-to-head. The two have combined for eight wins this season; each has four for his respective team. 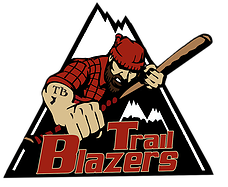 *The Glens Falls Golden Eagles have been a thorn in the side of the nationally-ranked Amsterdam Mohawks all summer long. The Golden Eagles are 3-1 against their rivals from the Rug City. Most recently, Emmanuel Forcier (New Mexico JC) bopped a two-run home run in the 10th and Ross Kivett (Kansas State) made a Spiderman-style catch in a 4-3 victory for the Eagles over the Mohawks at Shuttleworth Park on Friday night. The scene shifts to East Field on this Monday evening. Amsterdam has a .500 record or better against every team in the PGCBL but Glens Falls. Amsterdam did win three out of five last week however the Mohawks have stumbled offensively in losses. In two defeats last week, the Tribe scored no more than three runs while in three wins, Amsterdam scored at least eight times. Amsterdam should be well rested after being rained out on Sunday night versus Watertown. Glens Falls has outscored Amsterdam, 23-17, in three wins. All three wins have come by three runs or less while Amsterdam's lone win over Glens Falls was a 12-2 thumping on July 6. The Eagles have stumbled lately with seven losses in their last nine games. Since being held to one run by Albany on July 8, Glens Falls has scored at least four runs in six-straight games. But, the Eagles have allowed 37 scores in those same games. 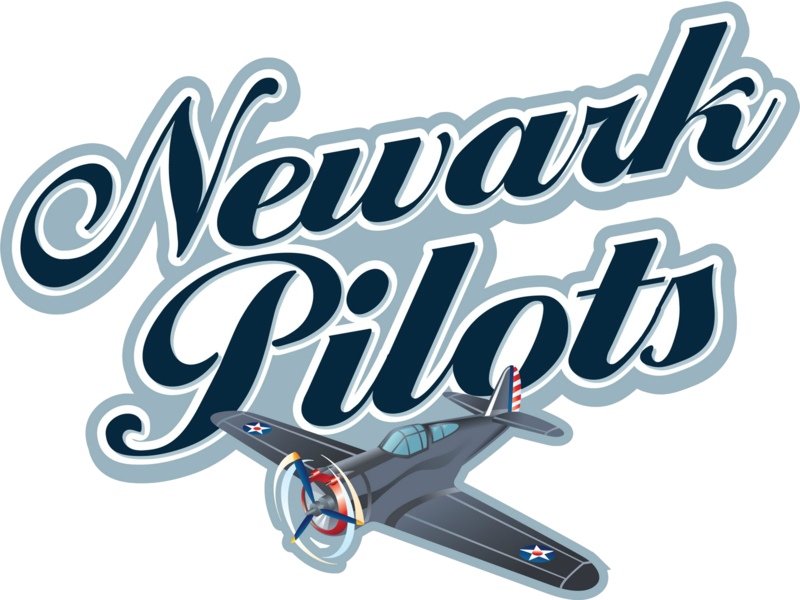 *Two teams going in the right direction collide tonight in the Twin Tiers when the Newark Pilots fly down to face the Elmira Pioneers. Elmira has won three of its last four games to put itself in position to make a run at at the mass of teams currently fighting for the fourth and final playoff spot in the league. In the three aforementioned wins, Elmira has put up 30 runs - an average of 10 per night. 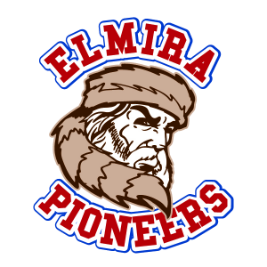 While Elmira has yielded 17 scores, the Pioneers are simply out-lasting their opponents. Meanwhile, Newark has a hold on third place and with a win tonight can reach 20 victories for the second season in a row. Newark also leads co-fourth place clubs Glens Falls and Albany by 1.5 games. A win combined with both of those teams losing would further help strengthen the Pilots' hold on third place. This will be the eighth meeting of the season between the two western-most teams in the PGCBL. Newark leads the series 5-2 however Elmira has won two out of the last three games with both of those wins coming at the Dunn which is where tonight's game will be played. 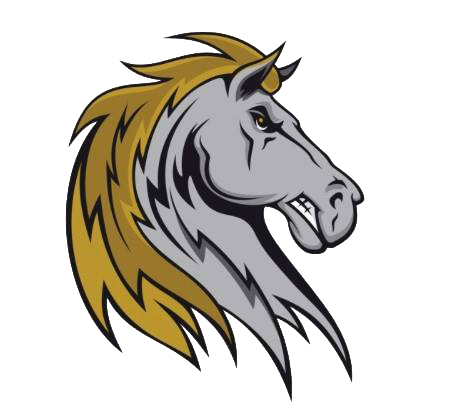 Newark has not taken to the road since a 4-3 walk-off defeat at Mohawk Valley on July 10. The Pilots recently completed a five-game homestand and went 4-1 in those games with four-straight wins to close out the week. *The 2012 Jefferson County Fair is in the books and that means that so is the week-long road trip for the Watertown Wizards. The Purple and Gold have played at the Alex T. Duffy Fairgrounds just three times this month and have not been at the "Duffy Dome" for a game since a 12-5 defeat to the Newark Pilots on July 8, just over a week ago. Tonight, the Wizards are at home in the North Country for just the second time against the Cooperstown Hawkeyes. Watertown traveled to Otsego County just once during its road trip and dealt the Outlaws a 5-1 defeat at Doubleday not too long after winning a 15-13 thriller in Newark the night before. Cooperstown is heading to Jefferson County for just the second time this season; the Hawkeyes beat the Wizards 9-3 in Watertown on June 15. Sunday, Watertown was rained out in Amsterdam while Cooperstown played 11 innings at home in a non-traditional doubleheader with Mohawk Valley. From Doubleday Field to the "Duffy Dome," Mapquest says it is about a two hour and 45-minute drive up Route 12. 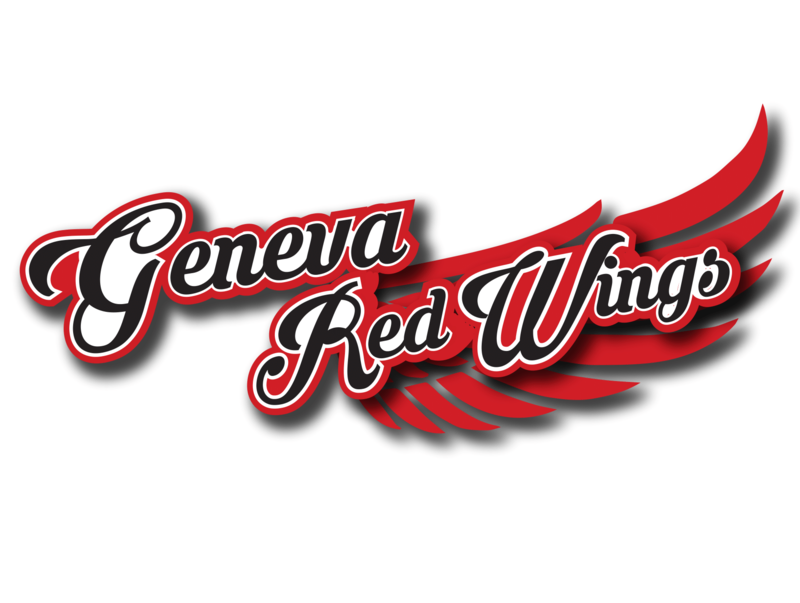 Both teams are looking for a win to keep pace with seventh-place Elmira who has eyes on fourth place Glens Falls and Albany. Home however hasn't been kind to Watertown. The Wiz Kids are 2-13 at home and have not won at the Fairgrounds in over a month. Last season, Watertown was 10-13 in 23 home games.